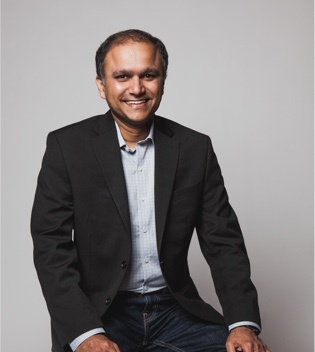 Amol Kulkarni is a seasoned engineering executive with extensive experience building large-scale big data enterprise cloud platforms, consumer cloud services and enterprise products while knitting together world class, high performing global engineering teams. Amol is currently the Chief Product Officer for CrowdStrike overseeing the company’s engineering organization and customer facing technology infrastructure. Prior to joining CrowdStrike, Amol held numerous senior positions at Microsoft. Most recently, he was responsible for the knowledge platform in Bing driving significant gains for Bing’s US search market share. Amol also held senior roles in Windows Azure and BizTalk Server, helping reduce COGs and improve developer productivity. Earlier in his career, Amol held engineering research positions at General Motors and Indian electronic company Nelco. Amol holds numerous U.S. patents for engineering and technology in the areas of distributed systems, application hosting/containers and model-based applications. Amol is currently on the advisory board of MindChipps, an IT consulting and services startup. Amol holds a PhD in Electrical Engineering from the University of Washington, a Masters of Technology from Indian Institute of Technology, Bombay and a Bachelor of Engineering from College of Engineering, Pune, India.